I did my best to offer the students hope. Yes, as parents, teachers or mentors we will make mistakes. We won’t ALWAYS get it right. But there are things we CAN DO to raise happy children. So give me the bottom line. What can I do to raise respectful, empowered, joyful children? As parents we can’t force our children into anything, but there are things we have control over. When we are intentional about these 3 things we can positively influence our child’s development. This should be the norm in our households, but with busy sports schedules, work schedules and interfering technology family dinner time is becoming at thing of the past. We must not let this happen! As a psychology professor my students are always shocked when they hear the statistics about eating dinner together as a family. In one study, sixth graders who regularly ate dinner with their parents compared to those who did so rarely, were far less likely to display anxiety and depression and poor grades (Based on Luthar & Latendresse, 2015). In another study, children whose families ate regularly together were advanced in language and literacy development (Based on Snow & Beals, 2006). 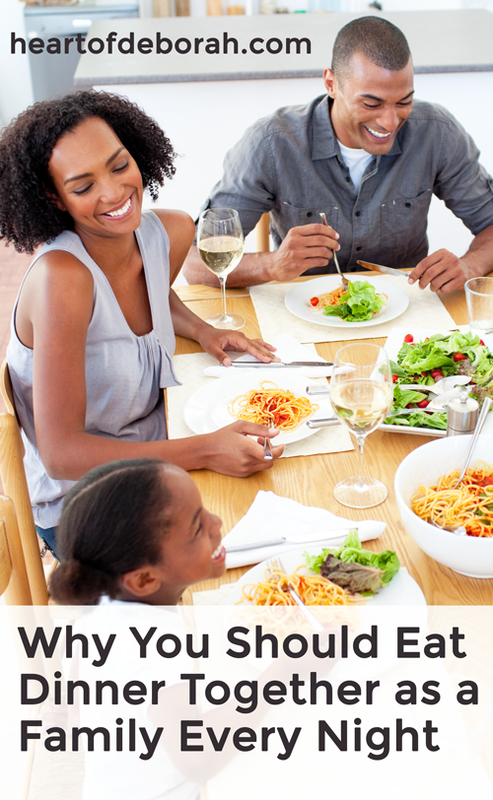 If I haven’t convinced you yet check out these 9 Scientifically Proven Reasons to Eat Dinner as a Family. This means no cell phones, no iPad at the table!! It is so important to have time to talk and connect as a family unit. Family dinner time should be a priority until our children leave the nest. During this time, you learn to enjoy one another’s company and share the joys and pains of life together. It also brings unity to your family. With small children it may seem impossible to have a dinner where you all sit down and eat together. Keep at it and eventually it will become routine. The goal is when your kids become teenagers you already have this set in place and it’s a normal thing for your family. Communication is so important and family dinnertime is the perfect place for this to happen. This may seem odd, how does telling your child no make them happy? Just trust me and keep reading! In today’s culture, many parents are told ‘you shouldn’t say no to your child. Instead here are ways to say no without really saying no.’ What is this telling our children? As parents we don’t always feel up to dealing with the tantrums or the crying when we say no. Yet if we don’t pay attention to this now, we will pay for it later and so will our children. Learning that you can’t always get your way is an invaluable life skill. Your children will actually thrive and be happier when you set boundaries as the parent. When raising happy children will have to make tough decisions. It won’t always be easy, but that doesn’t mean you shouldn’t do it. 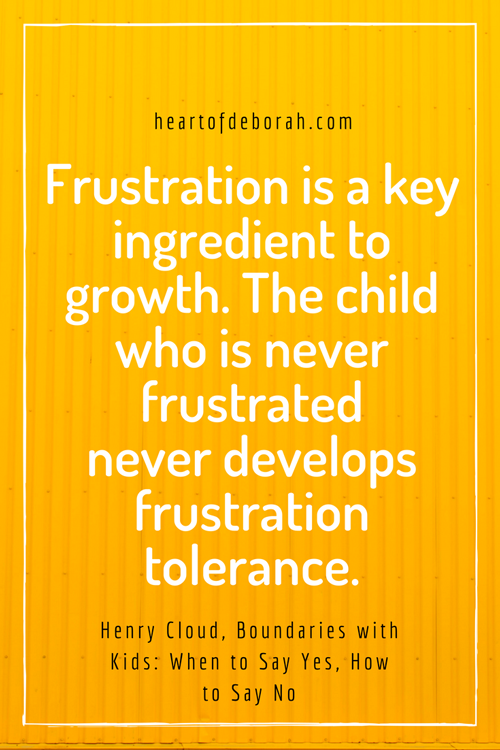 When you set a boundaries and say no when your child pushes back, you develop your kid’s patience and perseverance. Though it may temporarily induce frustration, in the long run your children will reap the rewards. 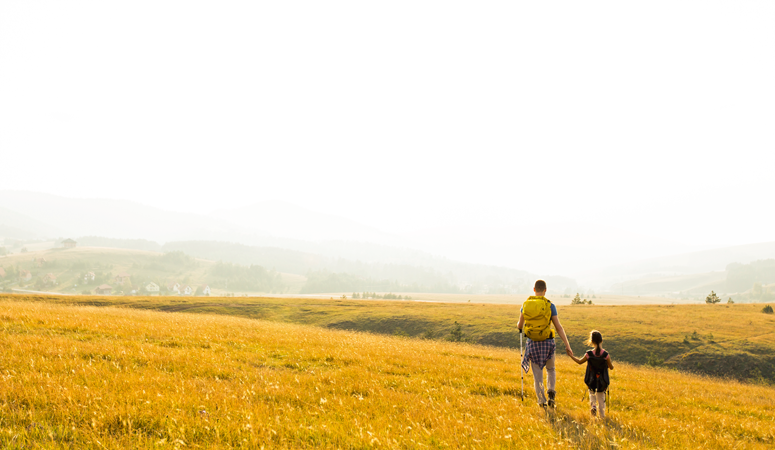 Read more about creating enforceable limits for your kids here. As you build your children’s character and shape their behavior you influence their future. When they face adversity later in life, they will hopefully have the tools to walk through it confidently. It May Not Always Be Easy, But That is Okay. Keep Doing it! 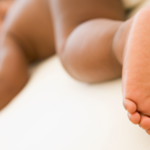 The first few times you say no, your child may give you a lot of pushback. Stay strong. Each time you set a firm boundary by saying no and stick to it, it will get easier. 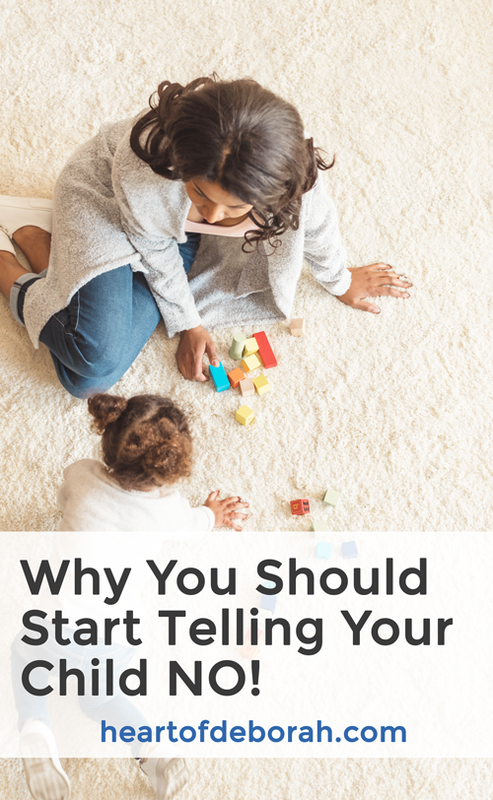 Your child will soon realize you say what you mean and you mean what you say. It is important to remain consistent, but first you must figure out what are your boundaries. We must be intentional about this. Take time to talk about what you expect from your children and the values you want to impart in them with your spouse. Consider writing it down so when you are faced with a situation of conflict or confirmation you know how to respond. God often instructs and disciplines us as His children and we must do the same for our children. If we don’t do it when they are young, someone will do it for them later in life. 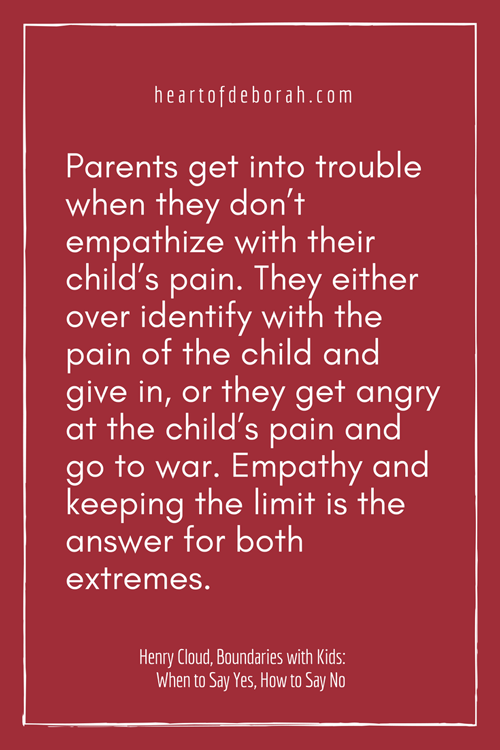 There is one last key element and that is connecting meaningfully with your children. 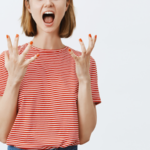 This includes empathizing with them when they are upset as well as learning their personal love language. As parents we must pray for wisdom on how to instruct our children. This will allow us to find that perfect balance between setting a boundary and providing grace or compassion when our children are upset. It can’t be all one or the other. It should be a mixture of grace and discipline when raising happy children. Have you heard of the five love languages? The 5 are: Words of affirmation, acts of service, receiving gifts, quality time and physical touch. 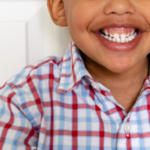 When you learn your child’s love language you can connect more meaningful with him or her. For the longest time I wasn’t sure what my daughter’s love language was. I observed her behavior and tried to analyze what she craved most from us, but I couldn’t figure it out. My husband told me one day, Izzy’s love language is gifts! It was so true. I didn’t see it at first because that isn’t one of my love languages, but once I realized it, it opened doors in our relationship. The way I respond to my daughter is very different than how I respond to my son. Each child has different preferences and personalities. As parents we can discover these gifts through careful observation and prayer! This directs the activities we plan and the way we parent. As a parent you have so much influence over your child’s life! What a privilege it is to positively impact the next generation. 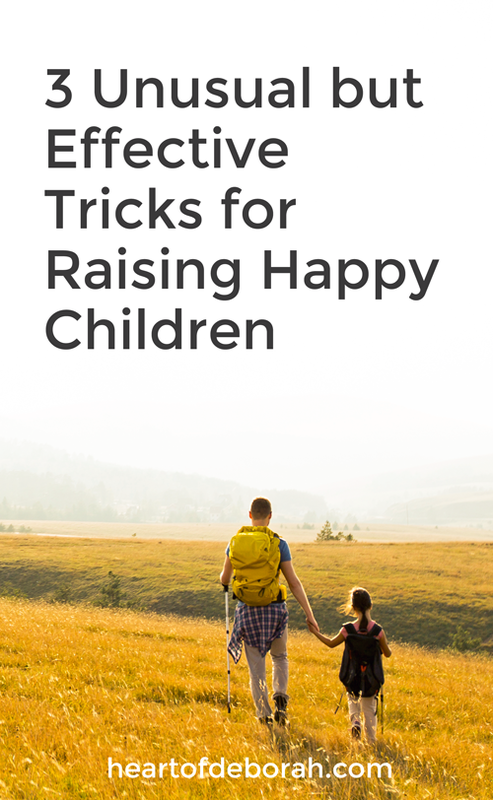 What are your best parenting tips for raising happy children? I’d love to hear from you in the comments below!